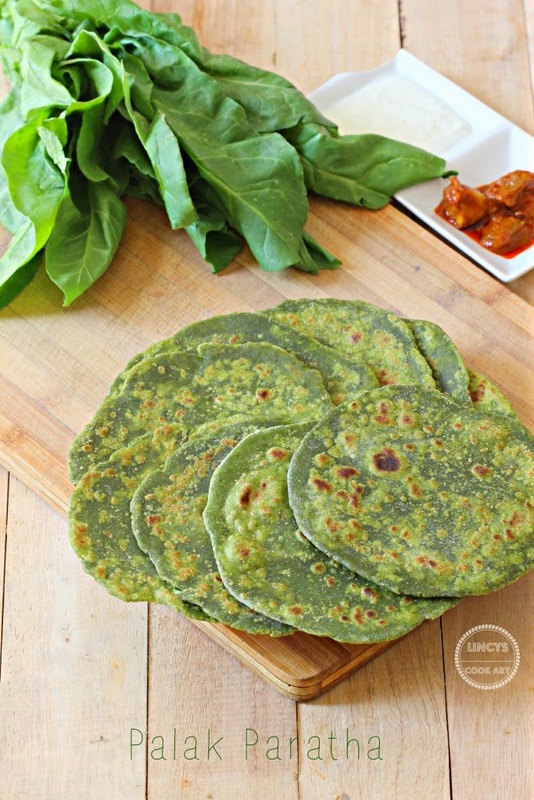 Palak Paratha is one of the healthiest paratha. Spinach is abundance in nutrients so i like to include this veggie in my family food in one or the other way. 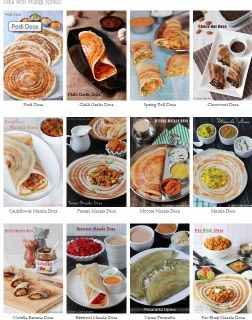 I made these parathas years before after that i shifted my diet pattern according to my sons palette. Now he eats rotis and parathas so i can include them again in my diet by making more healthy parathas like this. Parathas are tasty and healthy if they are prepared using less oil. Perfect for travel food and also for lunch boxes. Prepare this parathas weekly once at your home and stay healthy. Wash the spinach leaves and roughly chop them or tear them with hand and keep inside the blender jar. Add green chillies and ginger with this and grind as a smooth paste without adding any water. In a bowl add the wheat flour, salt and two teaspoons of oil, ground spinach puree, turmeric powder, garam masala powder and ajwain. Mix them together. Add water little by little and make it as a dough. Transfer the dough into a flat surface and knead to make a soft pliable dough. Drizzle a teaspoon of oil in hand and knead well if the dough is not soft; set aside for 5- 10 minutes to get the dough to soften. Dust with flour and spread each balls as thin parathas using rolling pin. Heat a pan on medium flame and drizzle half a teaspoon of oil and roast the parathas both sides till brown spots appears. Note: You can make this paratha by chopping spinach and slightly wilt them and follow the same procedure. Refer here if you are planning to do like that way. Love the color...... Tasty paratha !